Located in the New York region, Oyster Bay is a town and its area, population and various key information is listed below. For all your administrative procedures, you can go to the city hall Oyster Bay at the address and times indicated on this page or contact the town hall’s reception by phone or by email depending on your preference or the information available. Oyster Bay satellite image: Oyster Bay town from the sky! Located 2.6 miles from downtown Hicksville, this hotel is a 10-minute drive from Bethpage State Park. 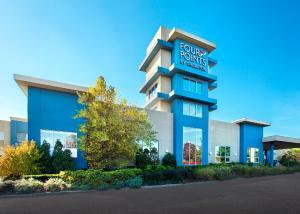 It features a front desk that is staffed 24 hours a day and guest laundry facilities. This Holiday Inn boasts an on-site restaurant, free Wi-Fi, and an outdoor pool. Downtown Manhattan is 30 miles away and Walt Whitman Mall is 5.7 miles away. Guests can read a free morning newspaper with a beverage from the in-room coffee maker. Located 8 miles from Nassau Veterans Memorial Coliseum, this Hicksville hotel boasts an outdoor pool and on-site restaurant. Farmingdale State College is 6 miles away. 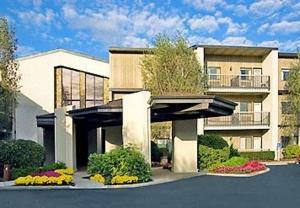 Bethpage State Park is 2.8 miles from this hotel in Plainview, New York. It features indoor and outdoor pools, a hot tub, and guest studios that provide kitchenettes.